Versatile, energetic and profound - without neglecting brutal linearity. That's distinctive for Sacrificium from Stuttgart, Germany. An over ten-year band history with many live appearances and quite a few line-up changes helped the band to achieve their maturity. Founded in 1993 in Waiblingen as a Thrash Metal band, soon after they changed their style and since then they blast with might in the Death Metal vein. The first Demo CD was released in 1996 followed by the demo tape "Mortal Fear" in 1998 which got highly rated in the press. In 2002 there was a major step forward with their first full length album "Cold Black Piece of Flesh", released on Whirlwind Records. 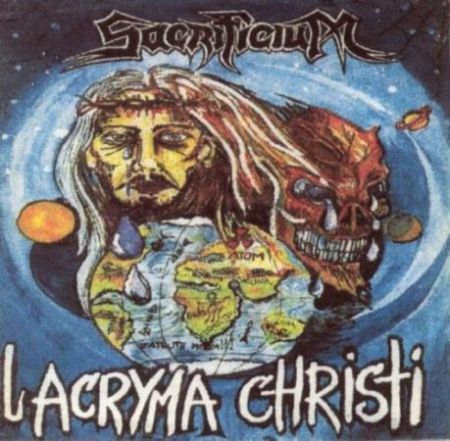 Basically into the old school Death Metal vein but with a significant approach to the modern views of the genre, Sacrificium made clear how they would carry from that point. That caught the attention of the press again (Rock Hard 7.5/10, Metal Hammer 6/7) and pushed Sacrificium forward. 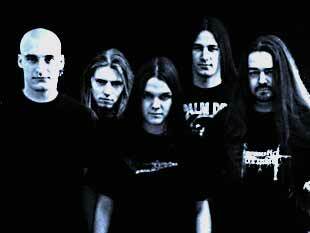 Eeverytime at numerous shows in small and big clubs and on festivals in Germany and throughout Europe, Sacrificium gathered new fans. With live experience, enormous precision, energy and emotions Sacrificium rolls over their audience like thunder. And so it happened that in summer 2005 Sacrificium caught the attention of Black Lotus Records and in winter 05/06 their second album "Escaping The Stupor" got released world wide by Black Lotus Records. And again, it didn't take long to receive reactions and consistently positive critics from the press. With ads and interviews in the major Metal Magazines it doesn't want for nothing, so that Sacrificium can concentrate completely on the upcoming live presence.